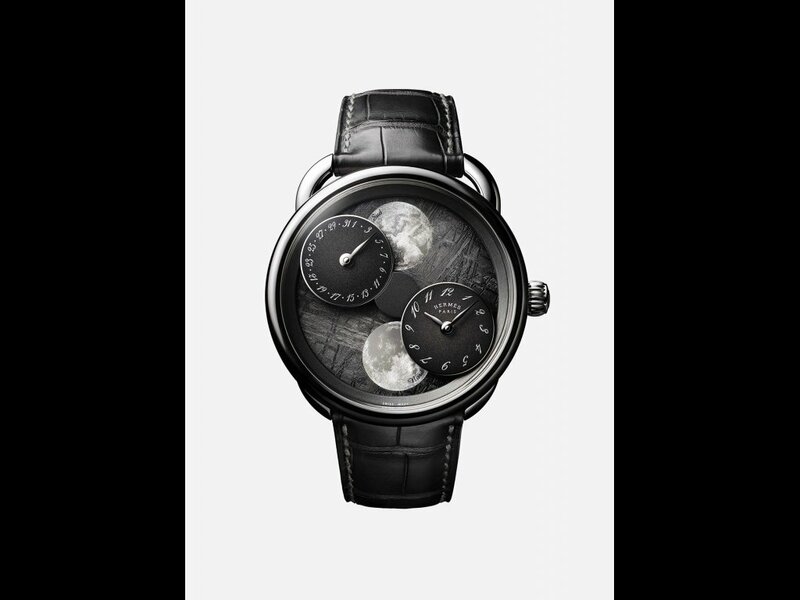 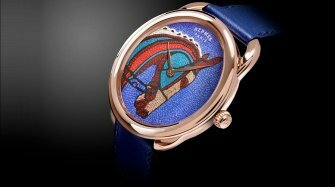 Hermès presents an original interpretation of the moonphase display in the new Arceau “L’heure de la lune” watch. 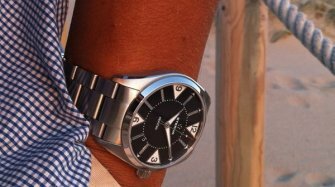 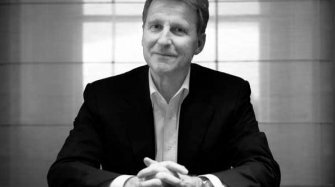 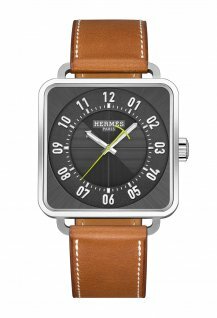 Hermès has always enjoyed playing with our perception of time. 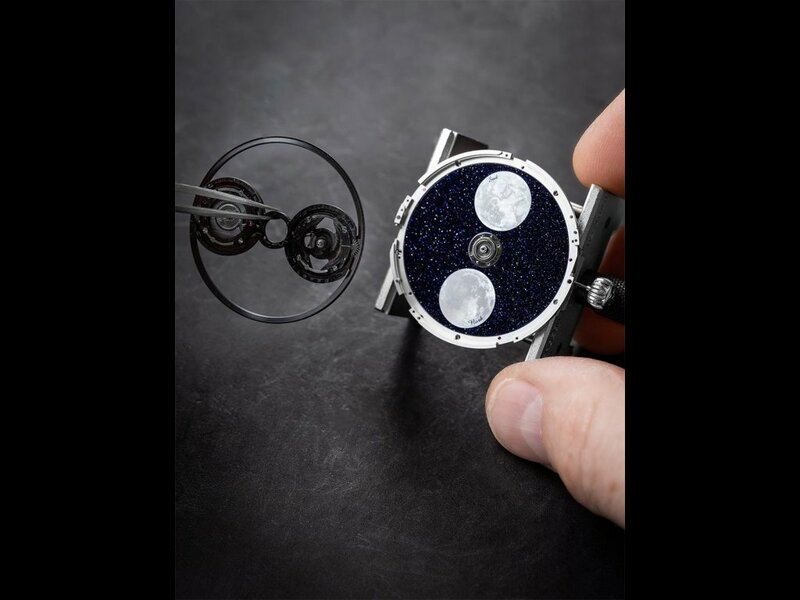 Think of models such as the Dressage L’Heure Masquée, which conceals the hour, and the L’Arceau Le Temps Suspendu, which allows the wearer to “suspend” the current time on the watch’s dial. 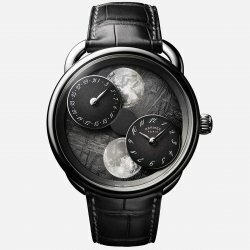 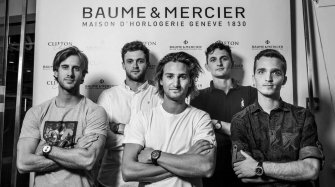 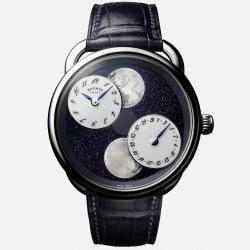 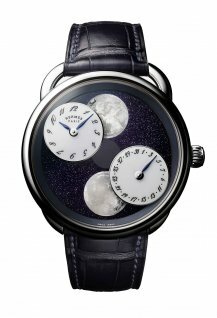 Now the irreverent brand takes the same approach to the moon phase complication with L’Arceau “L’heure de la lune”. 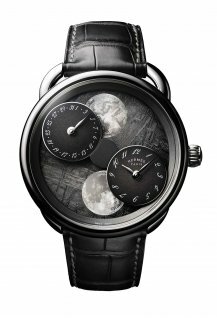 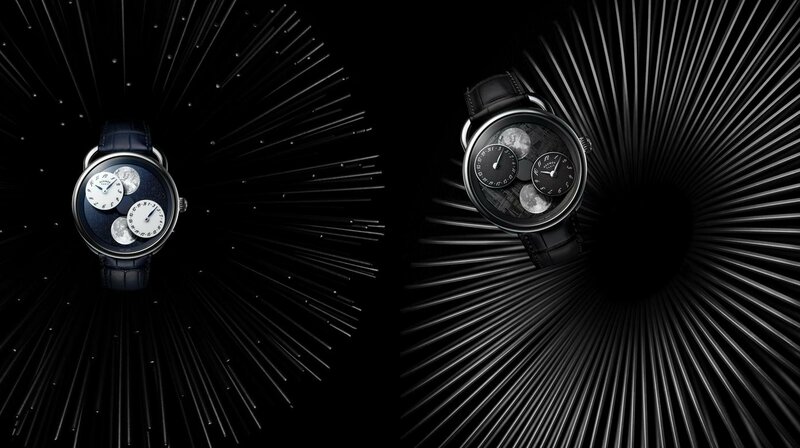 In this new watch, all the existing conventions of what a moon phase display should be have been turned upside down – quite literally. 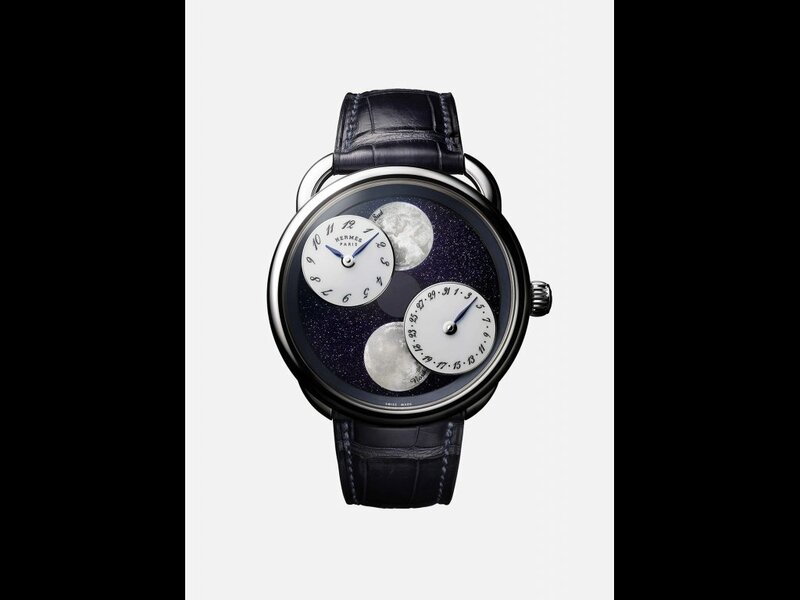 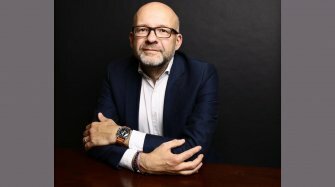 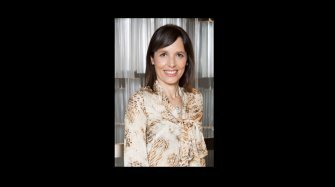 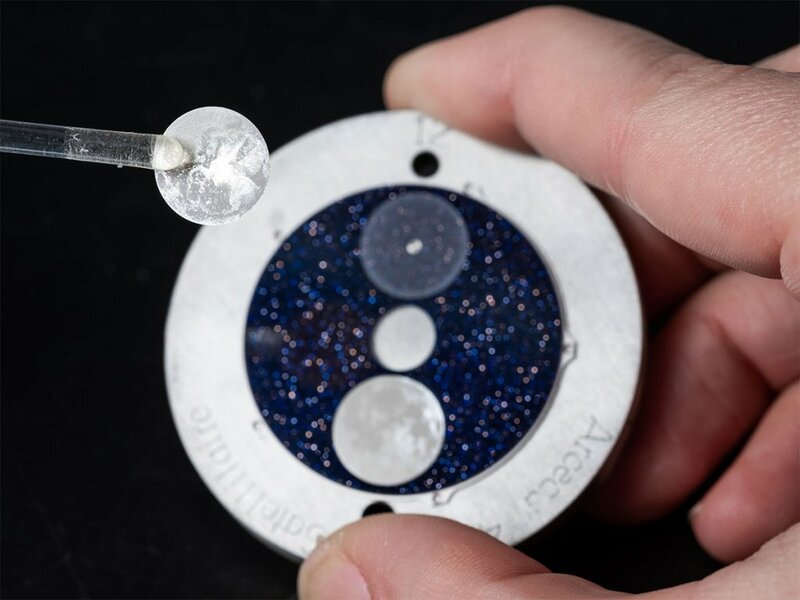 First, rather than have the Earth’s natural satellite orbiting around the dial as is usually the case, Hermès has incorporated two immobile moons on the base of the dial, which is available in aventurine or meteorite. 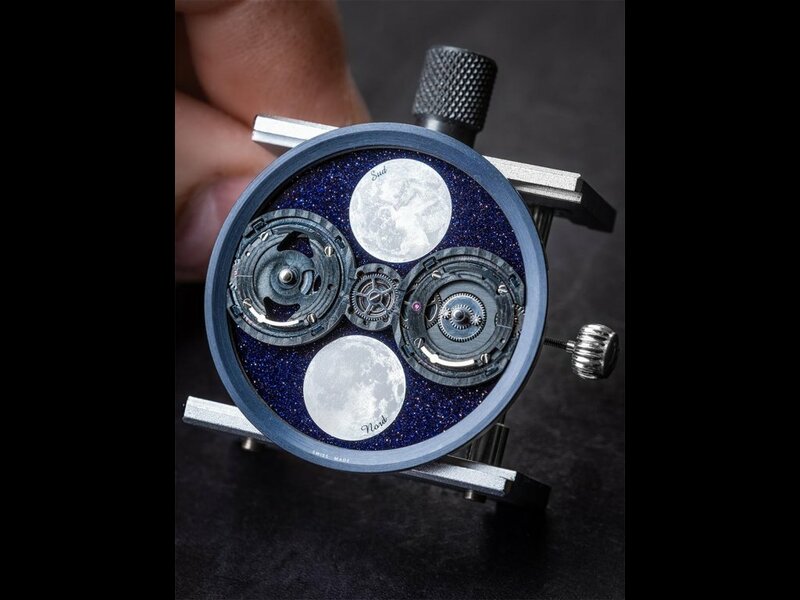 It is the rotation of two subdials – one for the time and another for the date – around the dial every 59 days that gradually obscures and reveals these two moons to show the correct moonphase. 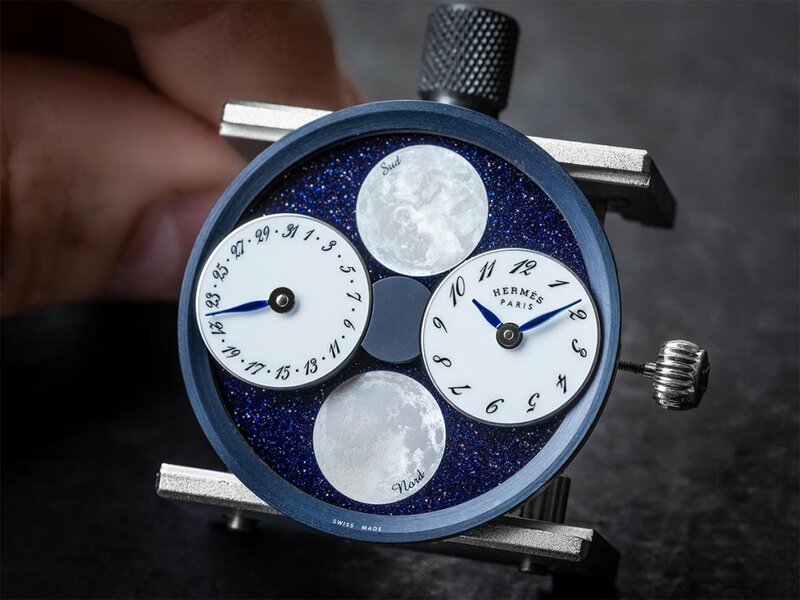 Second, while it is already unusual to see two moons on the dial (much to the delight of people living in the southern hemisphere who are often ignored by watchmakers), in this case the two moons have been mischievously inversed.  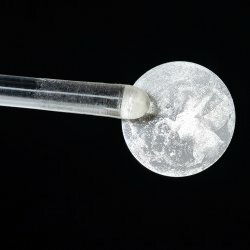 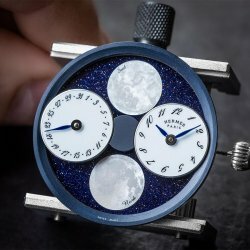 The moon in the northern hemisphere is placed, counter-intuitively, at 6 o’clock, in the southern half of the dial, while the moon at 12 o’clock is for the southern hemisphere. 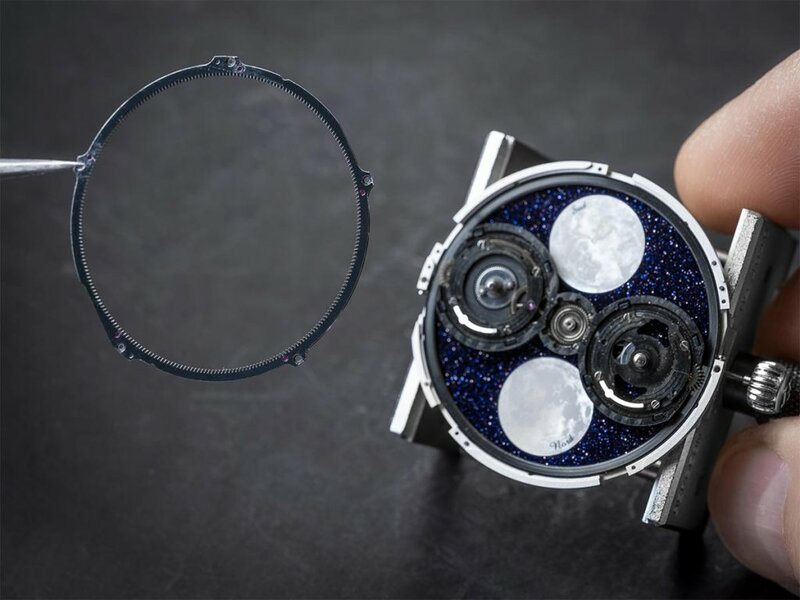 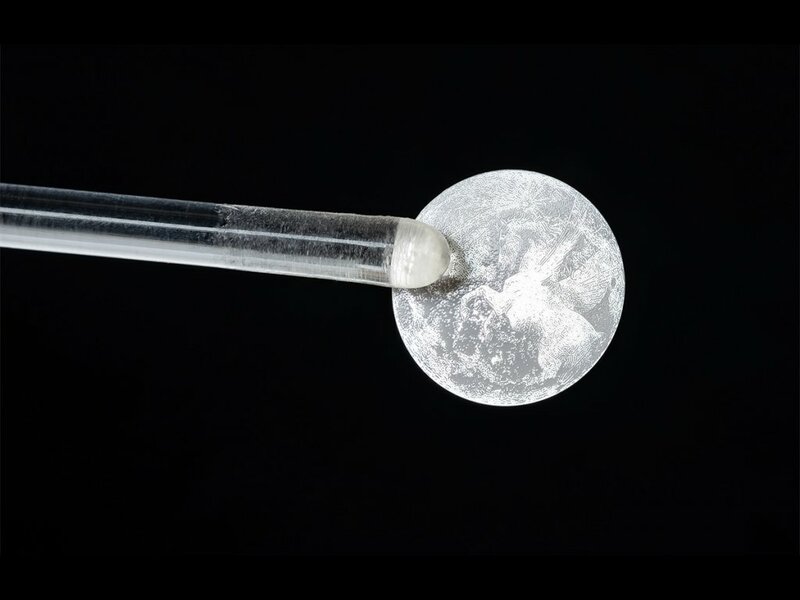 Both moons are in natural mother-of-pearl with a transfer of the lunar surface on the northern moon and the image of Pegasus by Dimitri Rybaltchenko on the southern moon. 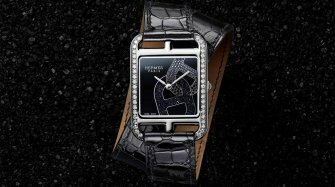 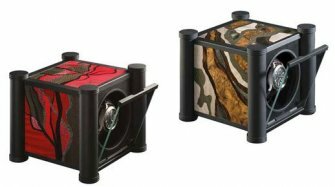 To power this unusual display, Hermès teamed-up with renowned movement constructor Jean-François Mojon (Chronode), who developed a special module that is added to Hermès’s in-house H1837 base movement. 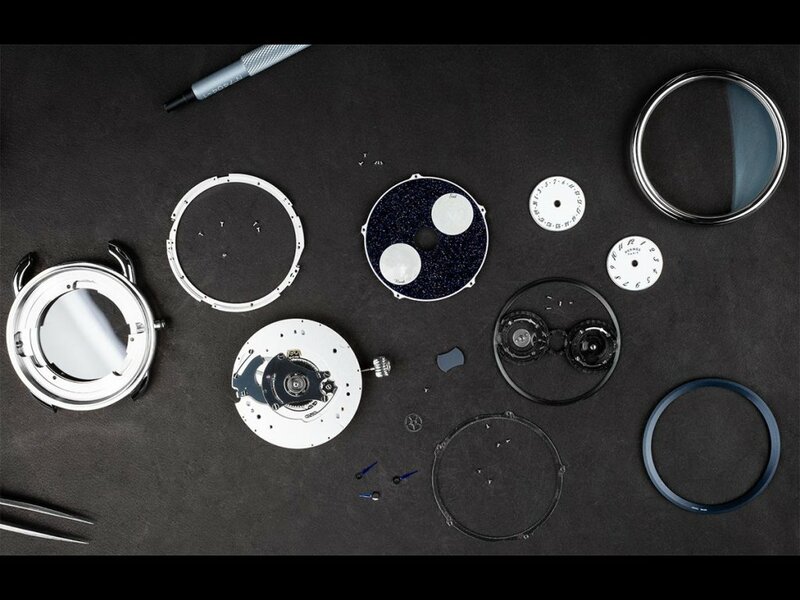 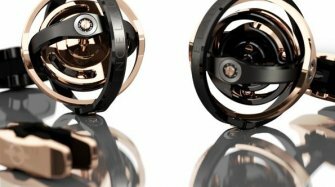 The resulting movement integrates the complication perfectly, with absolutely no mechanical elements visible. 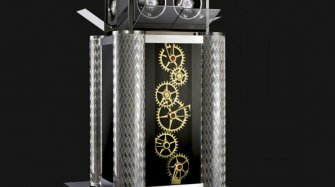 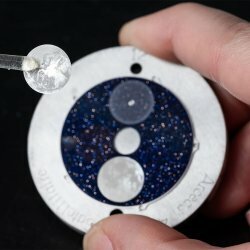 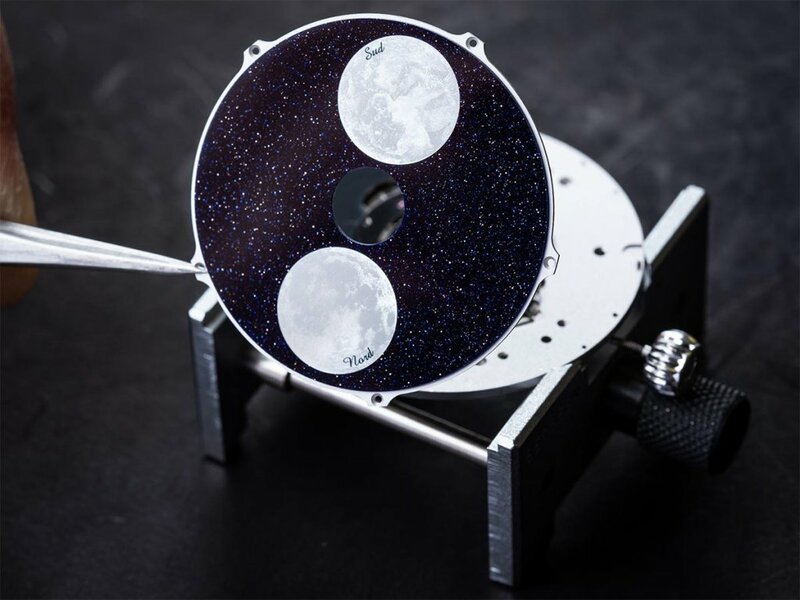 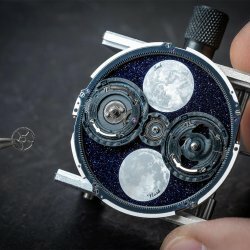 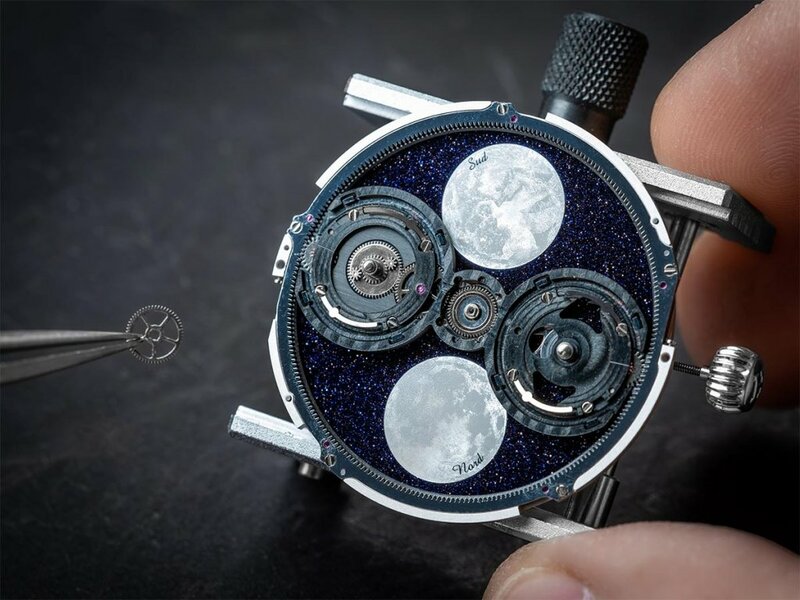 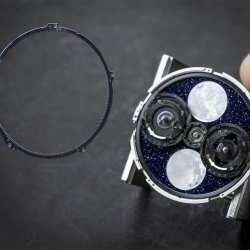 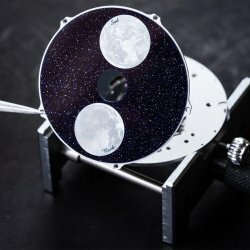 Besides the drive that powers the time and date indications on the two subdials, which remain horizontal throughout their rotation, the module also manages the moon phase display using a patented planetary gear system that moves the two dials around precisely 1/59th of the base every day. 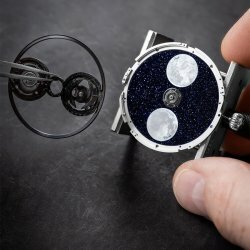 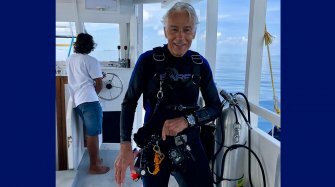 Since this action uses a peak of energy, the moon phase advances at 2.30 am to avoid placing too much strain on the movement around midnight, when the hour, minute and date hands all need to advance at the same time. 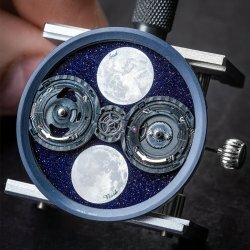 Furthermore, the date and moon phase are synchronized, which means that they can be adjusted simultaneously, which is unusual for a moon phase complication. 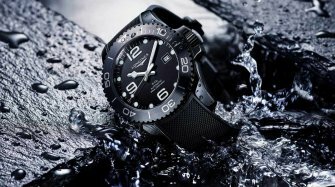 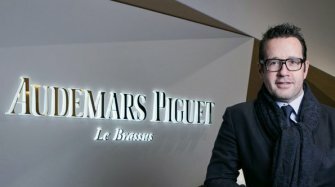 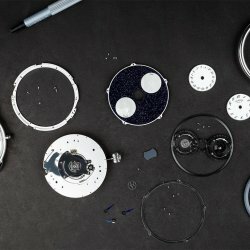 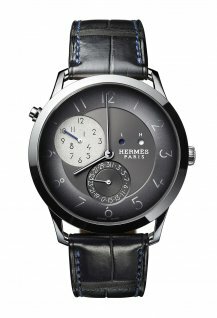 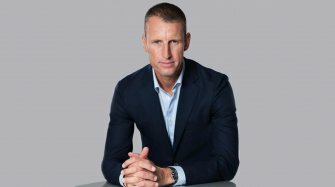 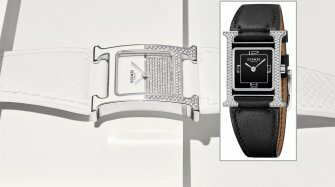 All this comes packaged in an asymmetrical Arceau case in 18-carat white gold with the signature “stirrup” strap loop at 12 o’clock to accommodate the unparalleled quality of a genuine Hermès leather strap in matte alligator or graphite grey for each of the two 100-piece limited editions.